French style lluxury dog beds and pet bowls that fit your homes style. Dog beds, incredibly posh and lusciously lavish. 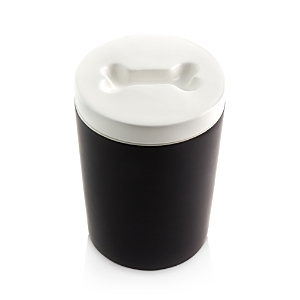 Unique furnishings for dogs not only pamper, but blend beautifully with your home's decor. Designer dog beds look and feel like high quality home furniture. Poster pet bed with golden nail head trim. Alder wood frame. Polyester velvet upholstery. Handcrafted tufted dog bed with crystal tacks. Includes two matching 5"Sq. pillows. Pet bed with nail head trim and mirror inlay at headboard. Alder wood frame. Faux fur seat and upholstery: polyester. Handcrafted pet bed. Alder wood frame. Polyester upholstery. Jeweled nailhead trim. Handcrafted pet bed. Alder wood frame. Cotton/rayon upholstery; polyester ruching. Jeweled nailhead trim. A perfect perch for your favorite pup, this bed offers comfortable cushioning for long naps and lounging. A soft and cozy Sherpa throw blanket with multiple purposes for you and your dog. Protect the furniture, provide a comfortable bed in the crate, cover the car seat and provide your dog with their spot in the car. 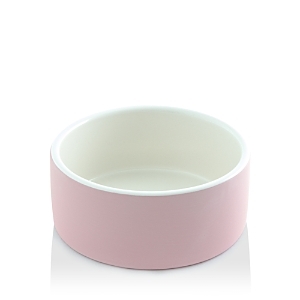 Soft and very durable. 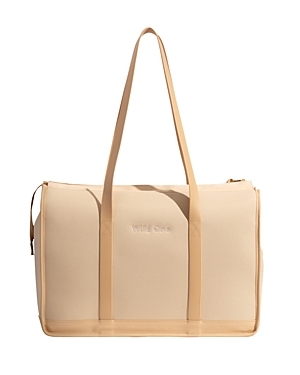 In cream. Polyester. 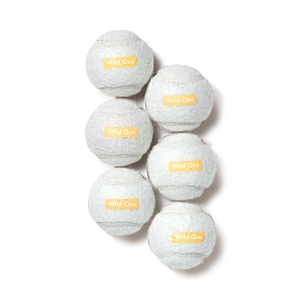 Washable Rolls up for easy carry. Fully rolled, 23" x 8". 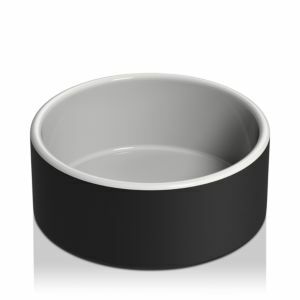 Pace your pet's food intake with this slow-eating bowl, showcasing a three-dimensional bone in the center that forces Fido to slowly eat around it. This tactic prevents indigestion while also aiding in dental hygiene. 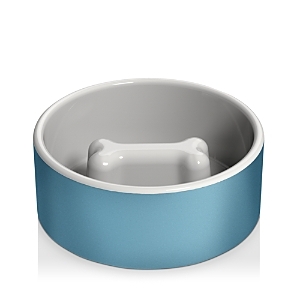 Pace your pet's food intake with this slow-eating bowl, showcasing a three-dimensional bone in the center that forces Fido to slowly eat around it. This tactic prevents indigestion while also aiding in dental hygiene. 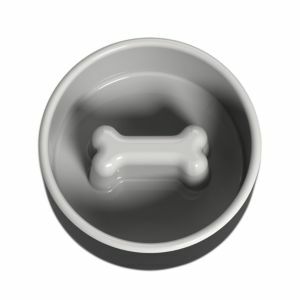 Pace your pet's food intake with this slow-eating bowl, showcasing a three-dimensional bone in the center that forces Fido to slowly eat around it. This tactic prevents indigestion while also aiding in dental hygiene. 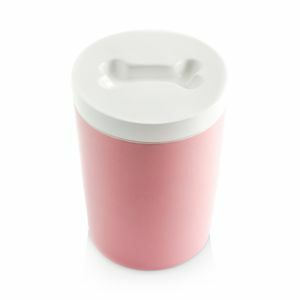 A charming accent to your countertop, this vessel is perfect for storing your pup's treats and biscuits. 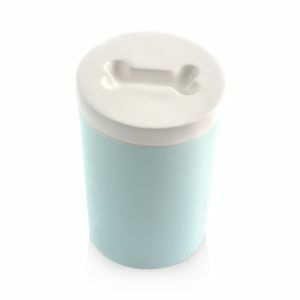 A charming accent to your countertop, this vessel is perfect for storing your pup's treats and biscuits. 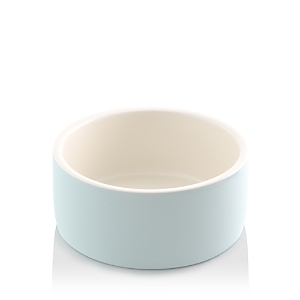 Add a touch of stylish flair to your pup's collar with this colorful charm. 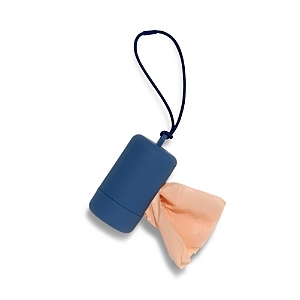 Cotton Clip this colorfully woven and tasseled pouch to your pup's leash so that clean-up bags are always within easy reach. Box includes: 240 scented bags on 12 individual rolls. 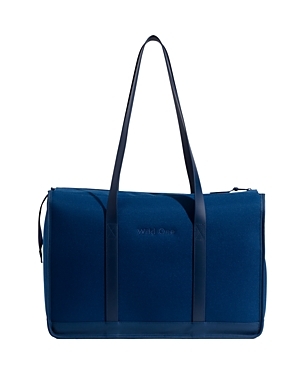 Fits standard size leash dispensers Keep your pet comfortably in tow with this clever tote bag - it's made from heavy-duty canvas with double topstitching for extra durability, featuring a collar-to-leach attachment and a removable bonded leather footpad inside. 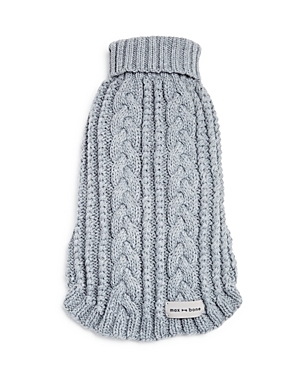 Crafted in a playful curly-knit construction, this sweater keeps your pup cozy in cooler weather. Knit dog sweater with "Cute AF" script embroidered on back. Ribbed trim. Knit dog sweater with "Cute but Psycho" script embroidered on back. Ribbed trim Knit dog sweater with "Treat Hustler" script embroidered on back. Ribbed trim. Knit dog sweater with "Profesh Cuddler" script embroidered on back. Ribbed trim. Turtleneck, slit front leg openings. 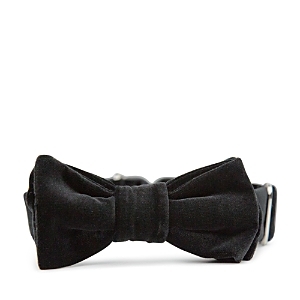 Mixed cable knit, brand tag, open back Made from natural Italian leather, this charming bow-tied collar is a must-have for any posh pup. As stylish as it is functional, this dog collar is crafted using durable cord, faux leather, and gleaming hardware, making it perfect for everyday use. 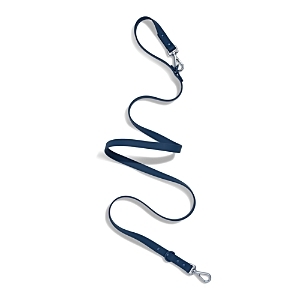 Made from durable cord with a playful pom pom accent, this leash makes walks with your pup that much more enjoyable. 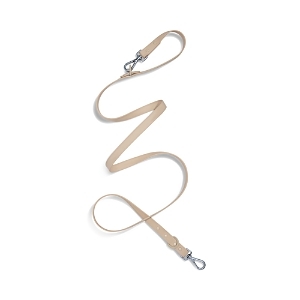 Give your daily walks a luxe touch with this metallic-woven leash. 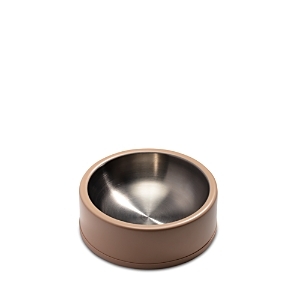 Add a touch of stylish flair to your pup's collar with this sweet charm. Sleek, sturdy, and comfortable, these charming dog wellies are designed with an open-vented slit construction so they're easy to slide on, while also ensuring a secure fit that stays in place even during runs. 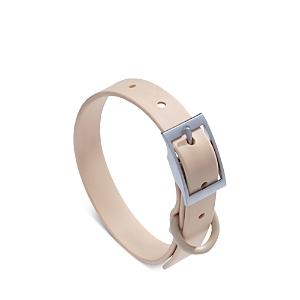 Add a touch of stylish flair to your pup's collar with this adorable charm. Dog toy with tennis ball and rope. Poly mix. Sheep dog toy made of rope. "Sheldon" dog toy in gingham and herringbone fabric. Embroidered eyes. Squeaker inside.